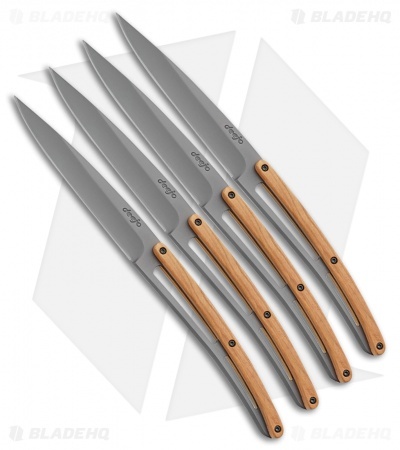 This knife set includes four 9-inch steak knives made from solid stainless steel with titanium coated blades. The handles have been fitted with durable Olive wood handles for a sure grip. Deejo steak knives make an elegant addition to dining set. Whether entertaining guests, or sitting down to dinner with the family, these knives are sure to impress.